Angie Hospitality, founded by hospitality industry veterans, is the developer of the first 24-hour interactive guest room assistant purpose-built for the hotel environment. 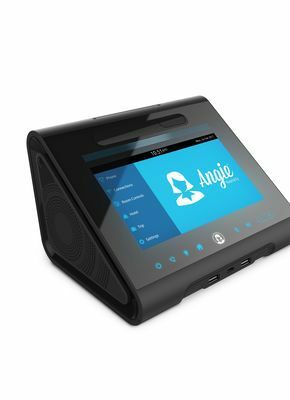 AngieaEUR~s patented technology uses both voice control and touch screen capabilities to offer a complete solution for hoteliers looking to increase guest satisfaction, streamline operations, improve staff efficiencies and maximize revenue opportunities. A passionate storyteller, and for more than 25 years Mark has been the creator of guest experiences of distinction; curious and creative with a real feeling for hospitality. Before he set up SEVERS+JANSEN, Mark was a co-developer of the international boutique hotel concepts Max Brown Hotels and SIR hotels and also worked as brand director at Europe Hotels Private Collection.Kim is a globetrotter with a unique knowledge of hotels derived from organizing many international events.